Emerging markets will account for upwards of 80% total global GDP growth in 2012, driven in part by trade within and between these markets. One of the rare bright spots in global economic news, growth in interregional and intraregional trade among emerging markets makes up one-fifth of the world’s total trade and is expected to surpass North-South trade flows by 2030. These trends animated today’s discussions at the World Export Development Forum (WEDF), which is bringing together the foremost trade experts and business leaders to explore the way ahead for global trade. Indonesia, the host of WEDF 2012, is now the world’s 15th largest economy (PPP adjusted) and a prominent advocate for increasing trade between emerging economies. Indonesian President Susilo Bambang Yudhoyono addressed attendees at today’s opening of the three-day event. Indonesian exports of non-oil and gas commodity to other emerging markets such as Côte d'Ivoire, Libya, Guinea, Mauritius, Macedonian Republic, Laos, Haiti, Ethiopia, Nicaragua and Liberia have increased significantly from US$90.02 million last year to US$318.2 million this year. Other emerging economies in Latin America and Sub-Saharan Africa also stand to benefit greatly from growth in interregional trade. For example, according to a recent ITC report, sub-Saharan African exports to Asia, including both commodities and value-added processed goods, are expected to increase up to 14% over the next decade. WEDF continues on Tuesday, 16 October and Wednesday, 17 October. The full texts of speeches made at the event are available on www.intracen.org/wedf. Additionally, ITC is live-streaming plenary sessions here and encouraging participation in conversations through Facebook, Twitter and LinkedIn. 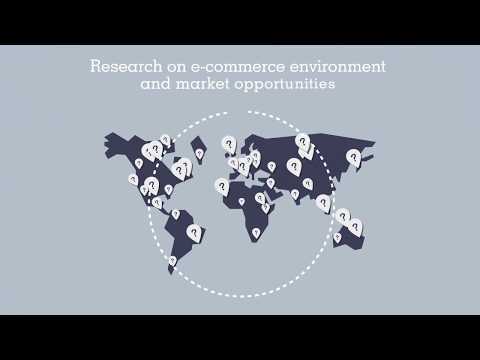 The World Export Development Forum (WEDF) is a unique global forum dedicated to supporting export-led development. WEDF provides an issue-focused platform for policymakers, trade support institutions and business people to gain practical understandings in export competitiveness, within a framework of Aid for Trade and trade-related technical assistance.